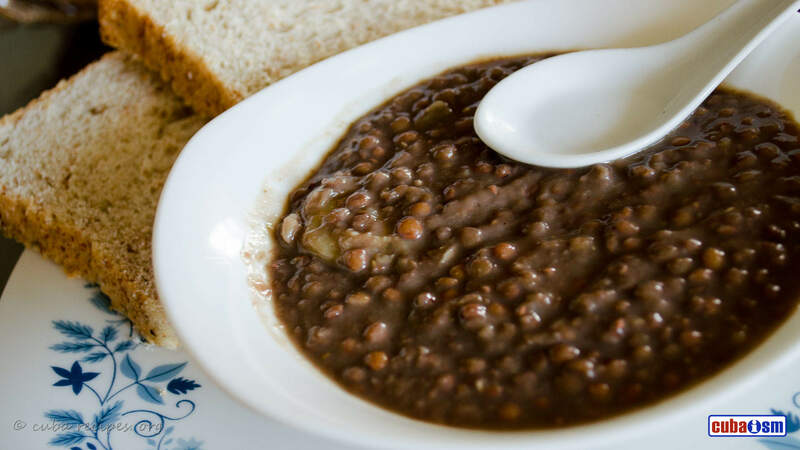 The traditional Cuban Lentil soup (Potaje De Lentejas) is thick and hearty. It can be served alone or with rice. This recipe makes approximately 6 servings. In a Med/Large Pot combine water and Lentils. Boil for 1 minute the reduce heat to low; simmer 15 minutes. Add all remaining ingredients except Sazon and wine. Bring to a boil for 1 minute. Reduce heat to a simmer for 45 minutes. Remove Bay leaf, Basil leaves, and Ham shank. Remove the meat from the shank and shred. Place ham shank meat back into pot. Add wine. Add Sazon if needed. Stir and cook for 5 more minutes.